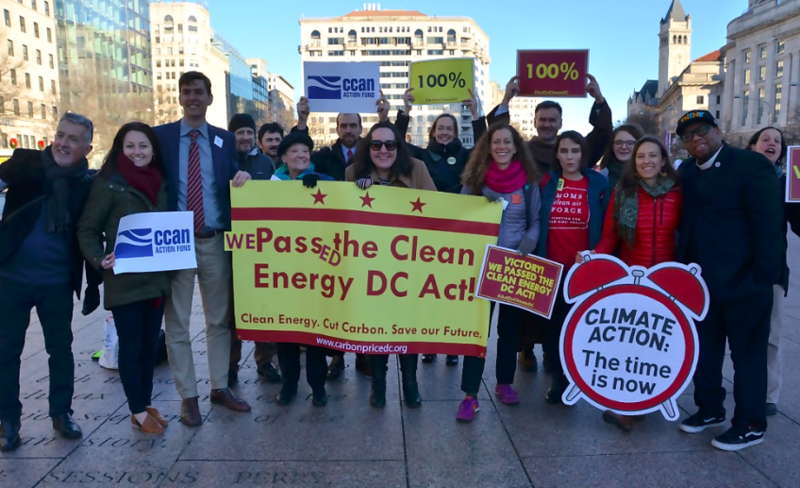 The “Clean Energy DC Omnibus Act of 2018” also creates enormous incentives for electric cars, sets groundbreaking efficiency standards for existing buildings, and expands a pollution fee on electricity, natural gas and home-heating oil. It then invests that carbon revenue in a special “Green Bank” for clean energy loans and efficiency and solar programs for low and moderate income residents. Here’s a summary of the bill’s main features. Full text of final bill available here.